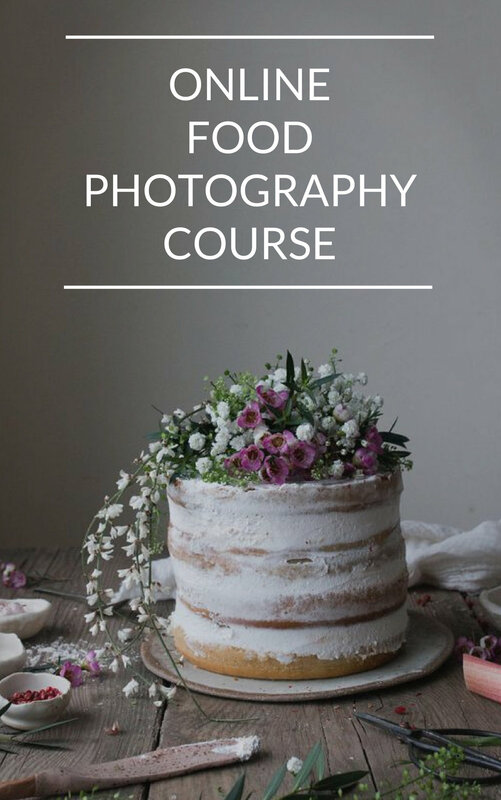 I can't believe it's already a week ago since the 3-day food photography and food styling course Aimee and I taught has come to an end. We had SUCH a lovely time and in fact today's images, which were taken on day 2 of the workshop really, really capture the essence of what our workshop was about; lots of great food, lovely company and heaps of visual inspiration and creativity. I personally believe the images of day 2 were extra special as one of our 'students', the super talented Silvia, was present and SO generous as to share her delicious vegan red onion focaccia recipe with us as well as her incredible knowledge when it comes to styling. 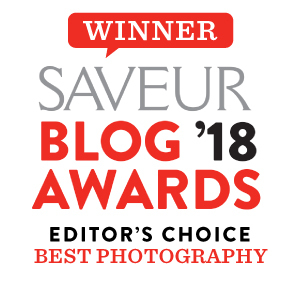 Silvia, Aimee and I have worked together twice before and it's always a special experience, so much so that we are thinking about hosting a food styling and food photography retreat together in Southern Europe sometime in late summer 2018. Would you be interested in attending? Any thoughts, wishes, suggestions? What country would pull you more? We'd love to find out how we can best serve you and what you'd be looking for? In the interim, Silvia and I are hosting a vegan supperclub entitled SPRING GATHERING in South London on April 27th. You can find LOTS more info about it here. There are only a few spots left and we'd LOVE to see you there, so be quick to avoid disappointment ;). Furthermore, just FYI as of May, 2017 I'll be teaching more 1-2-1 food photography and food styling sessions. In addition I'll also be offering online social media, instagram and food photography mentoring classes, which I'm super excited about. I feel teaching is what I do best and so this feels really right :). You can find out a tiny bit more about what the 1-2-1 mentoring sessions are all about here. And lastly, before I leave you with today's stellar recipe, please note that Aimee and I will be hosting our last 3-day Food Photography and Food Styling workshop of the year in September 2017. We only take 4 students a day to be able to offer everyone as much individual attention as possible. If you'd like more info about the workshop or have any other questions, please do not hesitate to send me an e-mail at kimberly(at)thelittleplantation.co.uk. Thanks for reading everyone. See you in two weeks. P.S. Don't forget to check out Silvia's take on the day here and Aimee's take on the day here. As noted above, this recipe comes to you thanks to Silvia's generous spirit. The recipe is a traditional Ligurian recipe, reminiscent of Silvia's childhood. I feel very honoured to be able to share it with you guys. At the workshop we practically gulped it down, it was so good. Hope you like it as much as we did. Quickly heat the barley malt (important!). Then dissolve the malt in around 100ml of luke warm water and add the yeast. After the 40 minutes, remove the dough from the bowl, kneed it again briefly and then place it on a large baking sheet or tray (which has been covered with non-stick baking paper) stretching the dough into a flat bread shape, about 2 cm thick. Leave to rise again in a warm spot for about 25 minutes. Before placing your focaccia dough in the oven, using all 5 of your fingers on 1 hand, make deep holes in the dough whilst slightly stretching the dough so the holes don't close up immediately. Then quickly whisk together the 120ml water/120ml olive oil / salt and cover the dough with this liquid. Place the dough in the hot oven for about 30 minutes or until just golden brown. Whilst the dough is in the oven prepare the toppings by peeling and then chopping the red onions finely. Fry them in a dash of olive oil over a low to medium heat until soft and translucent, around 10 minutes or so. Add some salt to taste. Then set aside. When the focaccia is ready, remove it from the oven, cover it with the pan fried red onions, fresh rocket leaves and a sprinkle of rosemary and enjoy! Serve with.... some other things to nibble and share such as olives, sundried tomatoes, almonds and a refreshing drink. Tip 1: We chose to go for red onion and rocket, but you can top the focaccia with whatever tickles your fancy. The recipe is very versatile. Tip 2: We thought about making this a gluten-free recipe but then decided against it as it wouldn't have been authentic. However, if you make this gluten-free do let us know how it turns out. Tip 3: There are lots of little steps here, but please rest assured, this is an easy recipe that is achievable by the novice bread maker. Would you like to see more of Aimee, Silvia and my joint work? Then head here or here.